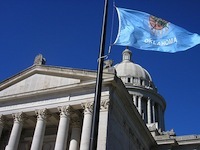 OK-SAFE, Inc. – Unbelievably, on Wednesday Oklahoma’s Senate passed a bill that moves this state toward voting for president by popular vote. By most calculations, this means that those states with the highest concentration of urban dwellers would decide who is elected president, (like CA, IL, and NY). Under this proposal, it looks like OK’s electors would have had to cast their vote for Barack Obama in the last election. For this we needed Republicans? SB 906 passed the Senate on 2/12/14 by a vote of 28-18 and is now in the House. Part of a nation-wide effort this model legislation has passed in 9 states – all progressive “blue” states, like CA, WA, and IL, as of July 2013. The National Popular Vote Interstate Compact (NPVIC) is an agreement among various states and the District of Columbia to replace their current rules regarding the apportionment of presidential electors with rules guaranteeing the election of the candidate with the most popular votes in all fifty states and the District of Columbia. Coming in the form of an interstate compact, the agreement goes into effect once law in states that together have an absolute majority of votes (at least 270) in the Electoral College. In the next presidential election, those states would award all their electoral votes to the national popular vote winner, who would become President by winning a majority of votes in the Electoral College. 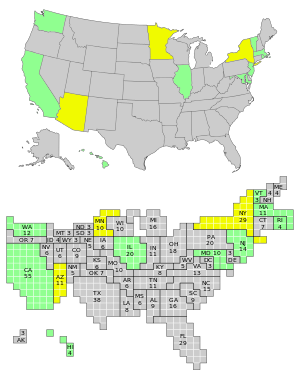 Until the compact’s conditions are met, all states will award electoral votes in their current manner. As of July 2013, the compact had been joined by nine states and the District of Columbia (see map). Their 136 combined electoral votes amount to 25% of the Electoral College, and 50% of the 270 votes needed for the compact to go into effect. More here, including debates on the issue and a map of states, and at the National Popular Vote website. SB 906 will be assigned to a House Committee (unknown as of this date). Please contact your House members and ask them to vote NO on SB 906. List of House members here. OK-SAFE, Inc. – Save the date for the first ever Oklahoma Growth Summit, to be held Saturday, February 15, 2014 in Tulsa. This event is being sponsored by OCPA-Impact, the Tulsa912 Project, and AFP. 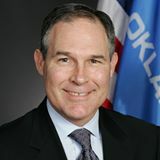 “Don’t miss this opportunity to hear Oklahoma’s Rock Star Attorney General Scott Pruitt speak on “Pushing Back Against Federal Overreach” a subject near and dear to all our hearts. Tickets are only $12, and include lunch. You will get way more than your money’s worth! So, what are you waiting for? Get your tickets NOW! Several of Oklahoma’s state elected officials, emphasizing the importance of economic freedom in our state and nation.